Happy Summer Solstice. 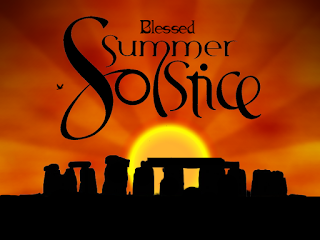 Nominally the longest day of the year. But it should be no surprise that for me, the longest day was May 2nd when I went to the ER to learn of my new diagnosis. To be honest, I’m getting sick of being sick. I’m actually having a good day today. I bottomed out a couple of days ago when my immunity levels fell and I could barely stand up. That was rectified Tuesday when I received a blood transfusion and went from weak to chipper in the space of about 7 hours. That’s a long time to sit around and be infused, but the fates provided me with a Dodger/Cubs double header to keep me amused during the process. Today, I’m still feeling strong and able to do most things without undue effort. But even on my best day, I have to say I don’t feel right. Today, for example, even though I feel relatively strong, I can only handle walking about 4 blocks before I need to rest. I’m not much help to Susan around the house, although on good days, I’m able to prepare dinner, run some laundry and tidy up a bit. I’m still encouraged that I’ll get through this. But I wish the path to healing were straight up, rather than two steps forward and one step back. Just being honest. This is tough. So, here’s where things stand. I’m on a break between chemo session and just emerging from the worst of it. I should be feeling good for about a week or so. I’ve been going for biweekly blood tests and was able to shift locations from Cedars (19 miles, 1 ½ hour drive) to Redondo Beach (45 miles, 20 min drive). But my primary care is still at Cedars and I’ll be going there on Monday for a bone marrow biopsy which will tell us where we are in terms of treatment and help direct us to where we go next. If all goes as expected, the results will show that the cancer is responding to the treatment and the plan to proceed with finding a stem cell donor will commence. I’m told it takes about 3 months for the donor selection to take place and in the meanwhile, I’ll continue to receive rounds of chemo about every 3 weeks. So, even though this post is less sunny than some, please know I haven’t lost sight of how fortunate I am overall with all the care and support I’ve received. So many of you have reached out, sent lovely sentiments, items of cheer, visits and offered to do whatever you can to help. Actually, there is something each of you could do to support me should you feel up to it. To date, I’ve received at least 3 bags of donated blood. I will undoubtedly need more soon. They work wonders. I have tremendous gratitude to the anonymous people out there who donated the blood I received. The need for blood is always there. And if you would honor me with a blood donation, I would be extremely grateful. It’s easy to do, of course. Just contact your local Red Cross. Keep up the spirits! I’ll see if the Red Cross will take my donation. Keeping you in my prayers. Hey man, thanks. I suppose most folks have occasion to be sick of being sick, most in relatively minor ways. For some reason (this may apply only to those who subscribe to reason) which is beyond my understanding, you have been given World Class 'opportunities' in this regard. Your exquisite self-awareness is shining through. We are with you! I just watched this for the first time, and wow. I will be hearing Mr Rundgren live at the Orpheum Theater.